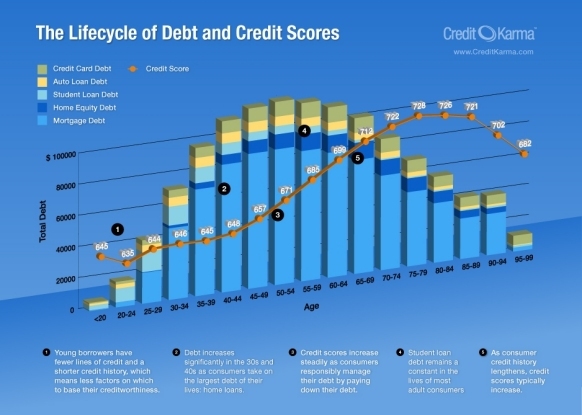 Typically, when you request your “Free Credit Score” what you are actually signing up for is a “Free Trial Membership” in some company’s credit monitoring service. The trial is free for 30 days or 90 days, but at the end of the free trial you automatically subscribe to the fully paid subscription. They aren’t scams because they tell you this up front. TransUnion, Equifax, and Experian all pull this marketing scam on their own websites, right next to the part where they try to trick you into getting your “Free Credit Report” that isn’t really free either. Credit Karma doesn’t sign you up for anything you will eventually pay for — they don’t even ask for your credit card number when you sign-up with them. You can however purchase full credit reports or get credit cards, mortgages or auto loans through their affiliates if you choose — sites they recommend to their users. I’ve been using them for over a year with great results, they’re the cornerstone of my “Do it Yourself Identity Theft Protection” system and it’s been working out so far. I did notice that the TransUnion Credit Score Credit Karma showed me on their website was a Credit Score 150 Points lower then what GE Capital Retail Bank (GECRB) said it was when they pulled my credit report through TransUnion — something isn’t right with that. You will have to make your own determination as to whether Credit Karma (www.creditkarma.com) is a scam.